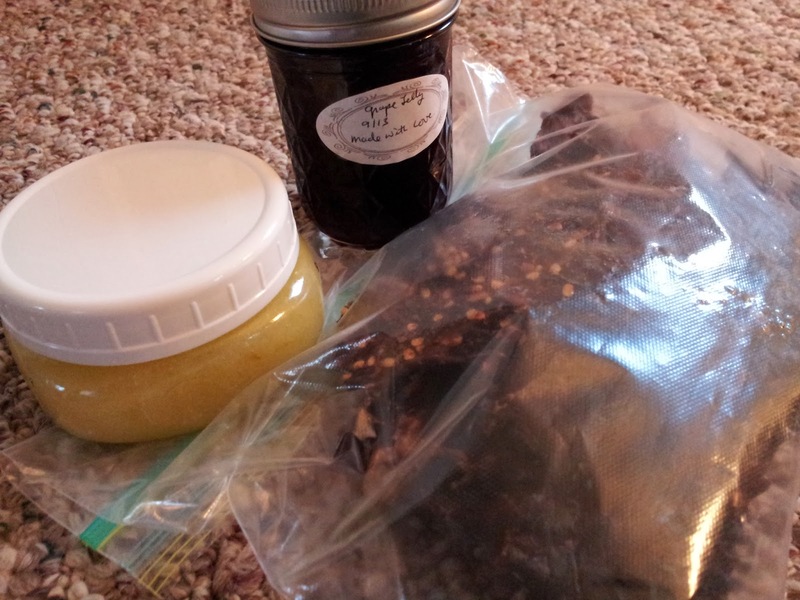 At our friends holiday celebration the other night we were gifted three homemade items: grape jelly, beef jerky, and sugar scrub. These gifts which our friends made by hand with us in mind mean more than any scented candle or bottle of wine possibly could. I like to buy handmade gifts when possible. This year I was able to for both my father and step-mom (I may share after the gifts have been opened). I wish I had the skills/motivation to make things myself, but I am grateful for both the handmade gifts I've received and the ones I will give tomorrow. Do you make or buy handmade gifts for Christmas? Do you like receiving them? I make cards and art and other such, and we got some homemade jelly. Home made gifts are often the best, and are unique. Some years we get painted glassware. Handmade gifts are the best! I don't give many gifts, but the ones I do give I buy at Plowshares from local folks. I love homemade gifts! It shows the person really put some time and thought into it. But I don't always have the ambition to make my own! I think next year I am going to make some gifts. Lip scrubs & stuff. I handmade my daughter's card.